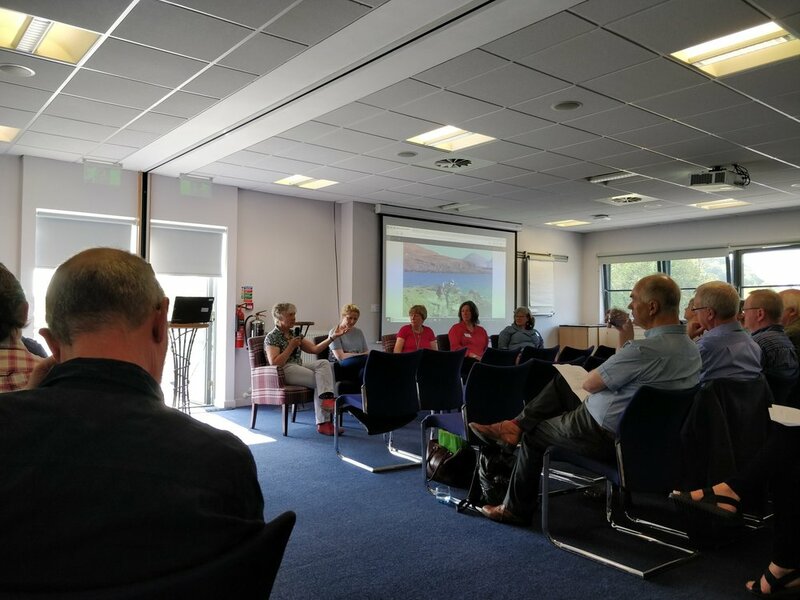 I was delighted to be invited to attend the Community Land Scotland Conference 2018. The conference looked at what can be learned from the social, economic, environmental and cultural achievements of community landowners. Over the past 25 years, the achievements of Scotland’s community landowners have drawn world-wide attention. The programme included presentations from Professor Jim Hunter and the Ulva Buyout; discussion on community land and culture; and workshops on re-population, engaging young people, urban community land and the Community Right to Buy abandoned, neglected and detrimental land. Representing Abriachan Forest Trust, I was invited to contribute to a workshop titled ‘Celebrating our Community Land Culture in 2019’ exploring approaches to creative cultural activism, and to take part in an afternoon panel discussion ‘Land and Culture – A Sense of Place’ alongside Polly MacInnes (Sleat, Skye), Dr Essie MacPhail (Assynt Crofters and UHI), Lucy Conway (Isle of Eigg) and chaired by Agnes Rennie (Galson Trust, Lewis).